You might scratch your head at the name of the Slate PC Series 7, but we can see the logic, even if it ends up being a bit of a mouthful. The idea is to separate this "slate PC" from Samsung’s existing line of Galaxy Tabs. In reality, yes, this is a Windows 7 tablet and although we’ve seen similar concepts before from the likes of Acer, Samsung has applied a dab of design magic and come up with something all the more compelling. The "slate" itself gives you screen measuring 11.6 inches, so it is a little large in the hand and weighing in at 860g, it’s noticeably heavier than your average Android tablet or iPad. ?It feels well built though, like it will happily survive being lugged with you on your business travels. Windows 7 tablets don’t offer the best user experience for touch, so Samsung has taken two moves to make things more user friendly. The first of these is the inclusion of a stylus. Yes, we know that’s usually an indicator that something isn’t as slick as it should be, but this isn’t just a prodding rod. It offers Wacom-style features, like pressure sensitivity, so it isn’t just for working Windows, it offers a range of creative opportunities too. The second move is the inclusion of its own customised interface. We’ve seen Samsung add TouchWiz to all manner of devices in the past, and this looks to be a similar case. Although there aren’t really apps for Windows, Samsung has worked with Microsoft to deliver some core services, like Twitter or music player. It is more compelling than some of the skins on Windows we've seen elsewhere, but the "app" offering looks a little light and you could always add shortcuts to your desktop to access those features. Microsoft's cooperation in this area perhaps indicates where Windows tablets will move in the future, however.? The tablet comes equipped with an Intel Core i5 processor, so this isn’t just a bumped-up netbook, it’s a deconstructed notebook. You get an SSD drive internally and 4GB RAM, which should be more than enough to keep you working on the move. The "slate" part of the package is only the start however, as Samsung is including a dock, equipped with more serious connectivity like HDMI, along with a Bluetooth keyboard. Both the keyboard and the dock feel substantial and well made, essentially turning the tablet into a full Windows 7 computer.? 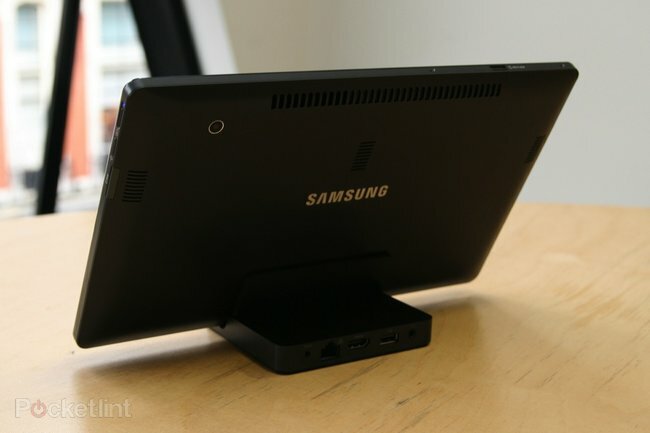 The thing that really stands out about the new Samsung Series 7 Slate PC is the quality. All the parts feel like premium components. We’re not totally convinced that you’ll choose the Slate PC over one of the new Series 7 700Z, but at least it's a device that looks and feels good in the hand.? The Samsung Series 7 Slate PC can be yours from ?999 and, as always, we will be giving it a thorough testing as soon as it hits the shelves. 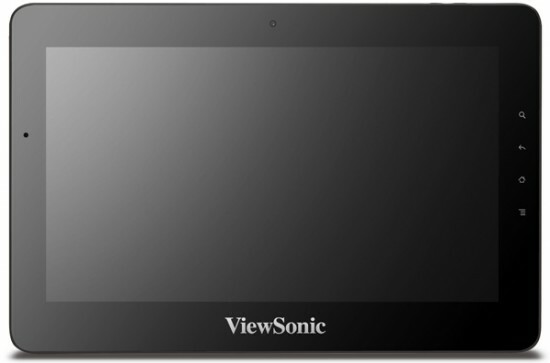 ViewSonic has announced its latest tablet, the Viewpad 10pro, a 10.1-inch slate that will dual-boot Android 2.3 and Windows 7. Among the first tablets to be powered by Intel’s Atom chipset, the 10pro’s CPU is clocked to 1.5GHz. Refinements in the Z670 core allow for impressive battery life with a single charge lasting 8 hours. 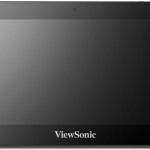 Two versions of the ViewPad 10pro will be offered. A 32GB build with Windows 7 Professional and Android 2.3 will cost $699, while a 16GB model with Windows 7 Home Premium and Android 2.3 will go for $599. Both will be available later this month. WALNUT, CA-(Marketwire - Aug 15, 2011) – ViewSonic Corp., a leading global provider of computing, consumer electronics and communications solutions, today announced its latest 10.1? Windows® and Google Android™ dual OS tablet -- the ViewPad 10pro. The ViewPad 10pro is one of the first tablet solutions to be powered by the new 1.5GHz Intel®Atom™ processor Z670. Designed specifically for tablets, this new CPU minimizes power consumption, while enabling smaller and thinner product designs. Partnered with a 1024--600 capacitive multi-touch panel, ViewPad 10pro users can enjoy impressive Full HD 1080p video playback, fast Internet browsing and longer battery life, without sacrificing on performance. Paired with 2GB of integrated memory, the ViewPad 10pro is the optimal mobile computing powerhouse. "We listened to our customers. We made the ViewPad 10pro dual OS interface as quick and intuitive as possible, while partnering with industry CPU leader Intel to deliver the latest in design and innovation across all fronts," said Michael Holstein, vice president of business development, ViewSonic. Tailored for business users, the ViewPad 10pro makes it even easier to enjoy a dual OS experience within a single tablet. Android 2.3 runs as an application on top of the Windows 7 operating system so users need to simply tap on the Android icon to make a seamless switch between business productivity and ultimate entertainment. Throw in the built-in Wi-Fi 802.11 b/g/n, Bluetooth 2.1 + EDR, an HDMI out for content sharing, a 1.3 megapixel built-in front camera and a high capacity battery for up to 8 hours of battery life, and you get the ViewPad 10pro -- a fully optimized, true dual OS tablet to keep users connected. "The new Intel Atom processor-based tablet from ViewSonic is a cool, and distinguished product that brings a personalized and flexible experience," said Bill Kircos, general manager of marketing for Intels Netbook and Tablet Group. "Our Intel platform supports multiple operating systems, and this tablet shows how consumers can move between Windows and Android experiences in a way that offers rich graphics, high-definition audio, easy Internet browsing and longer battery life in a slick form factor." To ensure the ViewPad 10pro grows with each persons individual needs, the device offers expandable storage options via a micro SD card slot for up to 32GB of additional space. The dual OS ViewPad 10pro is available in two configurations -- with Windows 7 Professional (with a 32GB SSD hard drive) and Android 2.3 for an ESP of $699, or with Windows 7 Home Premium (with a 16GB SSD hard drive) and Android 2.3 for an ESP of $599. A custom docking station accessory is also available for an ESP of $59. Both tablet configurations will be widely available in late August, with limited numbers currently available. For more information on ViewSonics products, please visit ViewSonic.com or follow ViewSonic on Facebook, Twitter and YouTube. Nokia Working on New MeeGo Device… Could it Be a Tablet? Although the Nokia N9 smartphone was supposed to be the first and last MeeGo device from Nokia, it seems the company is not leaving the OS behind. Inside sources are claiming that the Finns are working on yet another product and that the MeeGo team is still assembled. Could it be a tablet? Considering the latest hype surrounding the Tabco story and the speculations about a Nokia tablet ever since we saw images leaked, a MeeGo slate from the Northern company wouldn’t be surprising. A year ago we spotted the first Nokia tablet prototypes and even a patent that copied the N8 design on a slate was seen. The thing is that it doesn’t make sense to announce a device as your first and last MeeGo unit (N9) and then go back on your promise. One would do that if a product was hugely successful, but for the N9 we have no idea yet. People are expecting a great deal from Nokia, that’s supposed to be reborn from its ashes, just like a Phoenix. Will a MeeGo tablet fuel that rebirth? Nokia Working on Booklet Touch Tablet, Based on Windows 7 or MeeGo? The TabCo tablet and its many virals have many times been associated to Nokia and a possible MeeGo slate. Well, now another theory appears, as we have extra details about the device. TabCo is claiming that it had tablets before that “have failed”. They could be talking about Nokia’s Maemo Internet tablet or maybe about Microsoft’s Courier… I’m starting to think more and more that this is Windows 8 and Microsoft, since this model will be lighter than 1.33 pounds, it will lack front buttons, it will come with preloaded document apps (sounds like Microsoft) and feature a USB port. Also, there’s a cell model on board, Angry Birds preloaded and elements specific to a rubiks cube in the UI, maybe meaning square tiles. Considering that Windows 8 is supposed to come in 2012, while the WeTab Tabco is coming next month, the Microsoft option is out of the question. What other square-based UIs to you know? TabCo Likes Swipe on Facebook… Presumed Nokia Tablet Comes With… Megan Fox?! Last month Lenovo president and COO Rory Read revealed that the Chinese company would be launching a duo of Android tablets with the the Honeycomb packing devices aimed at both the consumer market with the IdeaPad K1, and the business market with a ThinkPad labelled device. Well, these two devices both just got official release details, along with a third - the Windows 7 based IdeaPad P1. Starting with the device that will hit shops first (in the US, at least) the IdeaPad K1 is a western revamp of Lenovo's LePad that has been on sale in China since January. It's a Nvidia Tegra 2 powered 10.1-inch tab that has a 1280x800 resolution, runs Android 3.1 and is Netflix certified. It's a bit beefier than the Galaxy Tab 10.1 at 740g but it does offer a number of high profile apps loaded up thanks to partnerships with the likes of EA and Adobe. The ThinkPad Tablet boasts similar specs to the K1, but is designed with businessy-types in mind as it offers anti-theft software, scratch resistant Gorilla glass and offers an optional stylus and an N-Trig active digitiser? for taking precise notes. Lastly, and least excitingly is the IdeaPad P1 - a Windows 7 machine that packs a 1.5GHz Intel processor, a multitouch touchscreen display and optional stylus pen "for added flexibility". The IdeaPad K1 is out now, in the States, priced at $449 (16GB version), the ThinkPad Tablet is landing next month (16GB) for $499 and the IdeaPad P1 sometime in Q4, price TBC. No UK deets as of yet. Who said that dual OS tablets don’t come to the US? Viewsonic ViewPad 10Pro has just shown its dual nature to the guys at the FCC, since this model runs Android 2.2 and Windows 7. This is an Oak Trail slate, that just got approved by the American authority for WiFi and AT&T-friendly WCDMA connectivity. No info on the price or the launch date and before you call this slate a dual boot unit, you should remind it that it runs Android on Windows as an app through virtualization. As far as specs go, you get the 1.5GHz CPU, 3G radio, 32GB of storage, a microSD card slot and a 3500mAh battery. 1080p playback is also there, so all the more reason to purchase this iPad 2 rival. This model was seen back at Computex 2011, if I remember well. Fall launch maybe? Back in May Fujitsu announced the Lifebook TH40/D, a convertible Windows 7 tablet that was intended to reach the Japanese market in June. That didn’t happen, but in exchange we learned that the slate will be postponed indefinitely and now we finally get a final answer: this product is coming to the stores next Friday, on July 22. The specs remain the same, including the 10.1 inch LCD with 1024 x 600 pixel resolution, 1GB of RAM and 1.5GHz Atom Z670 processor. There’s also a 120GB HDD in the mix, WiFi IEEE 802/11 b/g/n support, Bluetooth 3.0 and 2 USB ports. A HDMI port completes the list and be wary that you’ll be $1,012 poorer if you purchase this device. Are you ready to pay so much for Win 7 gear with Win 8 so close? Dell Latitude XT3 is a convertible tablet we’ve been hearing about lately, but without getting actual proof of its launch. Now, the slate has reached the FCC, sporting a Broadcom WLAN minicard that will be certified by the US authority. This is a hybrid between a notebook and a tablet, that comes with very impressive specs, including a dual core 2.5GHz i5 CPU, 2GB of RAM and a 13 inch display. The screen is a matte one, so it’s sunlight friendly and should provide a great viewing experience. No info on pricing or availability, but since the FCC is testing the unit, an official unveiling is pretty close. Dell Panerai Reaches the FCC; Follow-Up to the Inspiron Duo?